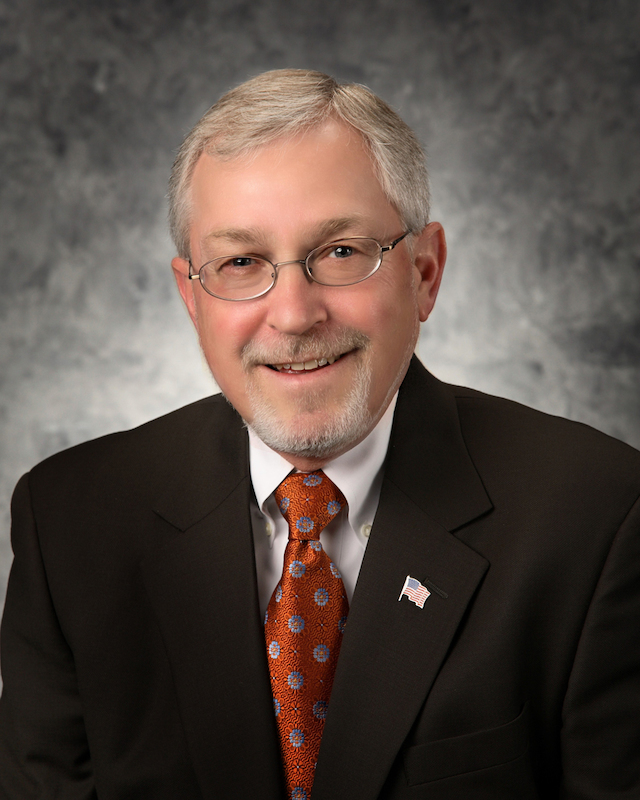 CANTON, OH (October 5, 2012) – Ronald J. Manse, CPA, tax partner, Bruner-Cox LLP, will be recognized with the highest honor, the Award of Merit, at the upcoming Community Salute Awards. The award will be presented along with three Awards of Appreciation on Wednesday, Nov. 7, at the Canton Regional Chamber’s Community Salute Awards dinner, held at The University Center at Kent State University at Stark. Tickets are available online for $50 at CantonChamber.org or by calling (330) 458-2070. Community Salute Award of Appreciation winners include: Aultman’s Wellness on Wheels (WOW) Program, Bev Jordan, LSW, founder and CEO of Stark Social Workers Network, Inc. and Robb Hankins, CEO for ArtsinStark. Sponsors of this year’s Community Salute Awards include the Board of Directors for ArtsinStark, The County Arts Council, along with Aultman Health Foundation, North Canton Medical Foundation, Bruner-Cox LLP, Walsh University and The Repository. Advertising in the evening’s program is still available. Visit www.cantonchamber.org or contact Jessica Bennett, director of marketing and events, at jessb@cantonchamber.org for more information. Ronald J. Manse has been an active volunteer in the greater Canton/Stark County region for more than 35 years. Through his volunteer efforts, he has made the community a better place to live, and countless individuals and organizations have benefited from his decisions, guidance and volunteerism. His work throughout the community is a shining example of the spirit of the Canton Regional Chamber’s highest honor, the Community Salute Award of Merit. Currently, Manse serves as chairman for the North Canton Medical Foundation board of directors. He’s a board member and past chairman of the Jackson YMCA, and recently concluded his 30-plus year tenure as chairman on the Canton Regional Chamber of Commerce Business Excellence Award committee. Manse serves on the Perry Helping Perry board of directors and is on the Stark County Citizens Review committee. Manse is the current treasurer and past chairman of Canton Tomorrow. He is a board member and current chairman for the Sisters of Charity Foundation Distribution Committee, treasurer for the Downtown Canton Land Bank, Inc. and is the current director of the Perry Township Rotary Club, for which he served as chairman of the Perry Rotary Annual Turkey Trot 5k. More recently, Manse was appointed to the Stark County Capital Campaign Committee. He participates in several fundraising drives for the community including the Ohio Foundation of Independent Colleges, Jackson Township YMCA Building Fund, ArtsinStark Fund Drive, Walsh University and Catholic High Schools in Stark County. He is past president and director of the Akron/Canton Chapter of the Ohio Society of CPAs, past chairman of the OSCPA Akron/Canton Estate Planning Committee and past member of the OSCPA Advanced Federal Tax Symposium Committee. Manse is also past president of the Perry Township Rotary Club and two-term past president of both the Downtown Canton Association and The Canton Club. He is also a member and past chairman of the Planned Giving Council of Walsh University, and a member of the advisory committee for Central Catholic High School. Manse joined Bruner-Cox LLP in 1997. He served as managing partner from Jan. 2003 until Dec. 2010. Before joining Bruner-Cox LLP, he was a tax partner at Ernst & Young. He has more than 40 years of experience in taxation and business consulting. His experience includes tax-exempt tax planning, internal tax strategies and individual and corporate tax planning. He is the director of the Firm’s Health Care Services Group and a member of the Not-For-Profit Services Group. Manse earned his bachelor’s degree in accounting from Walsh University. Manse is a member of The American Institute of Certified Public Accountants and The Ohio Society of Certified Public Accountants. He was named the 1997 Outstanding Alumnus of Walsh University. He was also the recipient of the 1997 Stark County Small Business Advocate of the Year award. He is a recipient of the Paul Harris Rotary Award and the 2006-2007 Jim Syler Perry Township Rotarian of the Year award. Manse was nominated by Kenneth J. Douglas, CPA, assurance services partner for Bruner-Cox LLP. Aultman’s Wellness on Wheels (WOW) Program (Linda Brunk, RN, coordinator) is receiving the Award of Appreciation for enhancing the welfare of Stark County citizens through health screenings and health education. The WOW program and clinical staff provide free health screenings and health education to all residents of Stark County, including noninvasive screenings such as blood pressure checks, height, weight and Body Mass Index/percentage of body fat. Additional health screenings are also be available upon request. The program provides more than 30 visits each month to groups, organizations, schools, outreach and community centers, senior centers, churches and festivals, with the mission of leading our community to improved health. The WOW van is staffed by clinical personnel who are able to provide health education, information on a variety of medical topics and referrals. Most recently, the WOW program created the “Farmer and the WOW.” This program, a partnership between the WOW program and the Canton Farmers’ Market, Arrowhead Orchard, Maize Valley and Chef Adrienne Chavers, provides information and tips about healthy eating at the weekly Farmers’ Market in downtown Canton. The WOW program was the 2010 recipient of the Stark County Minority Health award. The staff presented the program at both the 2010 and 2011 ANCC National Nurses Conference. Program coordinator Linda Brunk received the 2010 Ohio Shero Award and has been chosen as one of Stark County’s Top 10 Nurses. Robb Hankins, CEO of ArtsinStark, The County Arts Council, is receiving an Award of Appreciation for outstanding performance in his profession and civic activities, resulting in widespread benefit for the Stark County community. Hankins has spent more than 30 years directing city, county and state arts agencies in eight different states, including California, Connecticut, Michigan, New Hampshire, Ohio, Oregon, Texas and Wisconsin. He has managed annual arts campaigns, arts festivals, public art projects, arts education programs and downtown arts districts. He arrived in Canton in October 2005 to become the president & CEO of ArtsinStark, the County Arts Council. The organization today called ArtsinStark was founded in 1968 to build the Cultural Center for the Arts. ArtsinStark’s mission is “to use the arts to create smarter kids, new jobs, and healthier communities.” ArtsinStark gives out grants, manages the Cultural Center and runs the Annual Arts Campaign. Under Hankins’ leadership, ArtsinStark has allocated $6 million to the seven largest arts organizations in the county, and awarded more than $1 million in special project grants to 250 smaller non-profits and artists. The organization has made $1.5 million in improvements to the Cultural Center for the Arts, and invested $250,000 in 100 SmArts projects in 50 schools across the county for a combined 15,000 children. He was instrumental in facilitating the creation of 30 new art galleries and studios across the county, and coordinated the installation of more than 40 new pieces of public art. As president and CEO, Hankins has led the organization to reach the annual fundraising campaign goal every year for seven years in a row, and has increased giving to the arts by 70 percent. Under his leadership, the organization partnered with the Downtown Canton Special Improvement District to create monthly “First Friday” events in the newly created Canton Arts District, and after 60 months of events, the events combined attendance has reached 100,000 attendees. The organization also completed its 20/20 Vision Plan, a 10-year plan for arts and economic development. And in 2012, ArtsinStark was awarded the Governor’s Award for the Arts. Hankins received a bachelor’s degree in theatre from the University of Wisconsin Madison and his master’s degree in communications and in arts management. Outside of his work for ArtsinStark, he serves on the Kent State University at Stark advisory board, and the boards of the Downtown Canton Special Improvement District, the Community Building Partnership and the Canton/Stark County Convention & Visitors’ Bureau. Hankins was nominated by Robert E. Roland, Esq., managing partner for Day Ketterer Ltd.
Bev Jordan, LSW, founder and CEO of Stark Social Workers Network, Inc., is receiving an Award of Appreciation for enhancing the welfare of Stark County citizens through outstanding success in service. Jordan founded Stark Social Workers Network in 1989. SSWN is a multifaceted agency committed to addressing community needs through various social services in order to improve the quality of life for families and our community. The non-profit organization has since become part of the safety net for Stark County. For over 30 years, Jordan has been involved in community activism, and it is her own life experiences and her involvement in the community that inspired her to specifically support populations identified as hard-to-serve and at-risk. She focuses her work on helping those that have a need for family-driven, neighborhood-based services. Her belief is that contributing to and supporting children and families will ultimately strengthen neighborhoods and communities at large. Jordan works with many of her clients from a beyond-the-book approach, having lived many of their experiences herself. She is the driving force for SSWN, and under her leadership the organization has created St. Rosa and Nannie Harriet’s Baby Closet, which provides young parents with free clothes and resources. They also offer a re-entry program, working closely with the Court of Common Pleas, to assist returning citizens with life skills and employment readiness. She has also established a support group for the families of incarcerated individuals and ex-offenders. Other services include family support and mentoring services, a homeless prevention program, and after school tutoring and enrichment programs for youth. SSWN assists with welfare benefits, food stamps, heat and utilities, and they provide blankets during the winter months. The organization also assists with medical discount cards for seniors age 60 and over, Medicare, WIC, Prescription Assistance and Ohio Benefits Bank sign-up programs. The agency provides support for drug relapse through counseling and referrals. Jordan is an active member of United Methodist Women. She started “Blessings of the Babies” at John S. Thomas United Methodist Church. The non-denominational program brings together clergy or church leadership of many faiths to speak words of encouragement to unwed single mothers who wish to have their babies blessed or baptized, and are unable to do so at their own churches. She also started the Fishing Rodeo for Kids and Seniors at Cook Park, and each year she seeks grant monies and donations to support the rodeo and the rehabilitation of the park. Currently, more than 250 kids and parents, and 50 seniors, enjoy the park and rodeo. Jordan is a 1995 graduate of Walsh University with a bachelor’s degree in sociology and social work, and has been a licensed social worker since 1989. A lifelong learner, she went on to earn an associate’s degree in community technology from the The University of Akron in 1996. She is designated a Family Development Specialist and Trainer by the Ohio Association of Community Action Agencies, as well as a Certified Recovery Coach. She hopes to begin studies for her master’s degree in social work with an emphasis on the African-American population and community organizations. Jordan’s awards include the Golden Dove Community Service Award, the Junites Community Service and Appreciation Award, the 2012 Walsh University Outstanding Alumnus award, the Mary Church Terrell Award, the Leah Green Black Educators award, the NAACP President’s Award and the Soroptomist Award. She is an American Red Cross Disaster Team member, and a past board member for Quest Recovery Services, the Martin Luther King committee, Canton City Kwanzaa Committee, and Northeast Community Center. She is a member of the Weed and Seed steering committee, Stark County Criminal Justice committee and Mahoning Road Project. Jordan was nominated by Gerry Radcliffe, RN, retired volunteer community health educator, and Don Vignos, CPA, owner of Allied Accounting Services.